LBC makes sure Filipinos always feel the spirit of home, wherever they may be in the world. 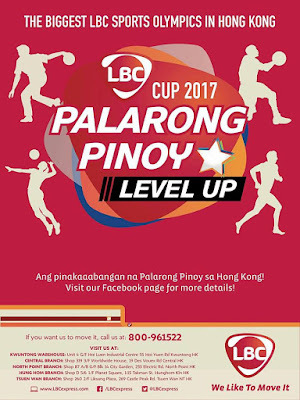 This is why it kicked off LBC Hong Kong Cup 2017: Palarong Pinoy Level Up to engage Filipinos in the area to come together and bond thru fun games and activities. The League features popular sports like basketball, volleyball, and bowling. It also showcases local games like patintero, luksong tinik, piko, and Chinese garter. The month-long tourney is being held in various locations in Hong Kong, among them Shek Ku Lung Park and the South China Athletic Association Bowling Center. LBC hopes that the friendly games, touted as the biggest LBC Sports Olympics in Hong Kong, will be an enjoyable and effective venue for our kababayans to bond, so they will always feel the sense of home in their hearts. Join | The Kitchen Essentials Giveaway! 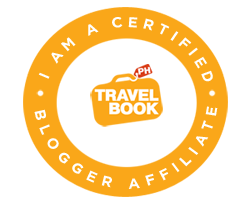 Join TravelBook.ph Friend Code Program today! Struggling To Get Your Children To Sleep? Why Do I Never Get Asked for an Interview?